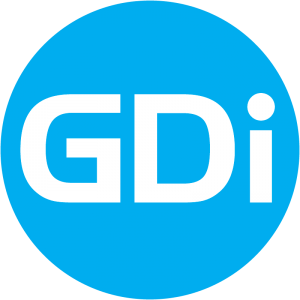 Founded in 1989, GDi pioneered the application of modern geoinformation and related technologies (GIS, GPS, satellite remote sensing, etc.) for geographic information management in Southeastern Europe, and is now one of the leading companies for international applications of GIS. GDi has offices in U.S. and Europe (Croatia, Slovenia, Bosnia and Herzegovina, Macedonia, Serbia, Montenegro, Albania, Ukraine, Hungary, Romania and Netherlands) and clients in Europe, Latin America and US. While rapidly expanding internationally and specializing in applications of GIS in the telecommunications industry and GIS integration tools and solutions, GDi still keeps its Central and Southeastern Europe full GIS service program focus. Besides its own resources GDi has a large established network of relationships with the leading technology and services providers and GIS companies. Since the year 1989, GDi design, support and provide Geographic Information Systems – GIS, remote sensing and GPS solutions so we can freely say that we were one of the pioneers of modern GIS in Southeastern Europe, and are the leader today. GDi unique position is that we do not just provide one technology (GIS software from ESRI), but we can supply the client with the full set of GIS/RS/GPS technologies, related hardware/software and system integration, our own software products, consulting, training, data sources, database development services, etc. 2017 GDi DOOEL Skopje, All rights reserved.